August Liebig was a Baptist preacher, who gave valuable assistance in the Mennonite Brethren movement in Russia. He was one of five Liebig brothers, who were very active in ministry in various regions in Europe and beyond. The others were Friedrich Wilhelm, Ludwig, Hermann, and Helmut. August, the third brother, was born on February 14, 1836, in Bernstein, Neumark, Prussia. He was converted in 1856. He began his missionary ministry in Bucharest, Romania in 1863. From there, he traveled widely into Turkey and southern Russia, before immigrating to America. In 1866, he was invited by some of the early Mennonite Brethren leaders to spend several weeks to help bring order to the movement, after the turmoil of the so-called “exuberant movement” (Froeliche Richtung). However, he was arrested by the district court (Gebietsamt), after a brief period spent in organizing the group; he was taken to Ekaterinoslav and Odessa, and deported as an undesirable person. In June 1871, he returned in response to an urgent appeal by the Russian Mennonite Brethren and settled in Andreasfeld, Chortitza, and remained for an entire year. He succeeded in leading the group into a quiet and orderly status. Among other things, he arranged for annual Bible courses for preachers to continue for a month. He did not touch the Mennonite confession of faith, and always advocated the parallel existence of Mennonites and Baptists. It was partly as a result of his counsel that regular patterns of congregational meetings and conferences were organized. In 1872, Mennonite Brethren were the first of the Mennonite groups to organize into a conference with annual conventions. In 1874, he took up residence in Odessa, accepting the pastorate of the Baptist Church in Odessa in 1875. Then, in 1887, he moved to Lodz, Poland, where he became pastor of a congregation. But he was deported in 1890 and spent a brief period helping his brother Hermann in Stettin, Germany, before moving to America in 1892 and settling in the Dakotas. After his departure from Europe, little was reported in Europe about his activity and ministry. The life and legacy of August G. A. Liebig can be found in several sources, including: Peter M. Friesen, Mennonites in North America (1874–1910), trans. Jake K. Balzer (Winnipeg and Goessel: Kindred, 2012), 7, 13; Christian Hege and Christian Neff, Mennonitisches Lexikon (Frankfurt & Weierhof: Hege; Karlsruhe; Schneider, 1913–1967), II:650; Abe J. Dueck, “August G. A. Liebig (1836–1914)” Center for Mennonite Brethren Studies Newsletter 17 (Spring 2004): 1-4; Albert W. Wardin, Jr., "August G. A. Liebig: German Baptist Missionary and friend to the Mennonite Brethren" Journal of Mennonite Studies 28 (2010):167–186; Abe J. Dueck, “August G. A. Liebig and his North American Legacy” Mennonite Historian 38/3 (Sept 2012): 1, 6–7. In 2001, when Abe J. Dueck was doing research on August Liebig in preparation for a publication on Liebig in the Center for Mennonite Brethren Studies Newsletter, Hillsboro, KS (17 [Spring 2004]: 1–4), his research generated the documents included in this collection. The Liebig collection consists of photocopies of articles and photos, a death certificate, and email correspondence generated by Abe J. Dueck, while researching the life of August Liebig. 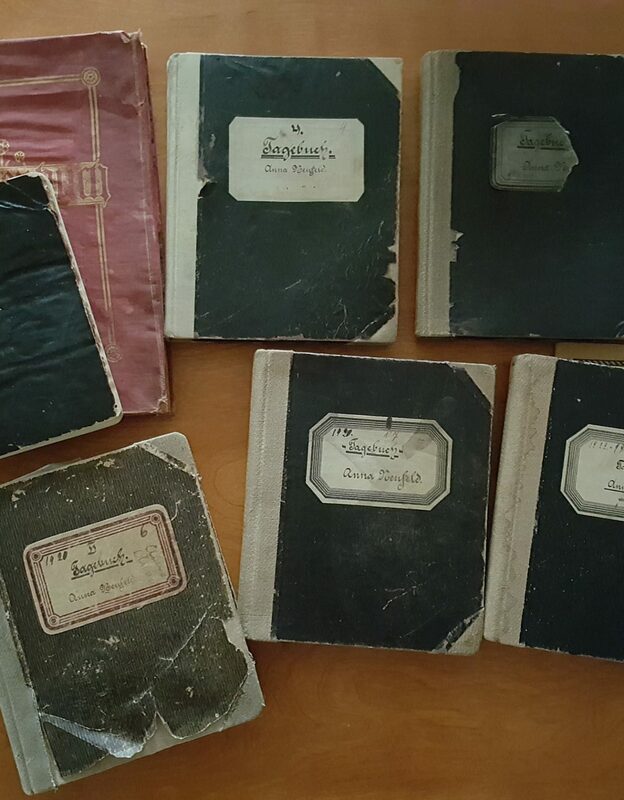 The collection documents well the significant influence this Baptist minister had on the formation of early Mennonite Brethren -- especially with regard to structural organization (conferences, conventions, committees, etc.). Title based on contents of collection. Finding aid consists of a description and a file list. Description created by Jon Isaak, August 2012. August Liebig, Chortitza, Russia; Baptist minister; biographical material. -- 2001.